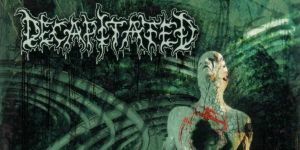 In the early 00’s, Death Metal had become so saturated by mediocrity and identikit bands that Decapitated’s arrival was a welcome surprise; one that literally snuck up and took your head clean off. Still in their teens, these precocious upstarts had no right to challenge a scene so imbedded in limited rules, but their arrival did exactly that. In the process, Decapitated ushered in a new era of Death Metal that re-embraced groove while maintaining its technical audacity and focused on headache-inducing riffs which hammer around your skull for days. 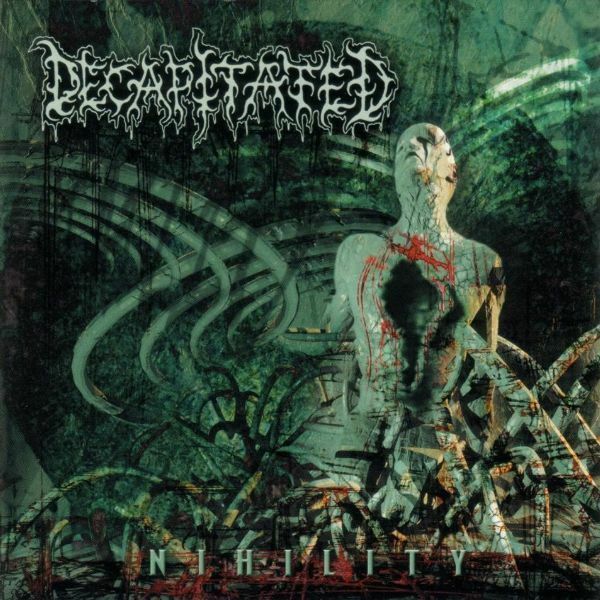 Decapitated simply oozed technicality but never at the expense of an honest-to-goodness abrasive Death Metal riff. Their Winds Of Creation debut just 2 years prior had rejuvenated the scene but it’s follow up raised the bar even higher. Nihility‘s ever shifting tempo’s never fail to impress as they jostle with classic lead guitar nuances, while the drumming, courtesy of the sadly deceased Witold “Vitek” Kiełtyka, is masterful and majestic. The vocals may be an acquired taste for many, Wojciech “Sauron” Wąsowicz utilises a raspy guttural growl for the majority of the record, with very little deviation, but his brutal delivery matches the music for relentless intensity. Each track is memorable and picking a highlight is relatively pointless but “Spheres Of Madness” is the one to hear first if you fancy dipping your toe into extreme waters before diving in headfirst. The staccato riffs and ridiculously accomplished and innovative double-bass work should be enough to have you hooked to Decapitated’s brand of Metal malevolence. In 2002, Death Metal needed Decapitated and they were man-enough to deliver an album which gave a moribund genre a swift and necessary kick up the caboose.